Product prices and availability are accurate as of 2019-04-22 08:33:25 UTC and are subject to change. Any price and availability information displayed on http://www.amazon.com/ at the time of purchase will apply to the purchase of this product. Have a good mood every day for you!! that become the building blocks of your daily life. We only select fabrics that stand up to wear and get better with time. It's effortless, stylish, and crafted with care. 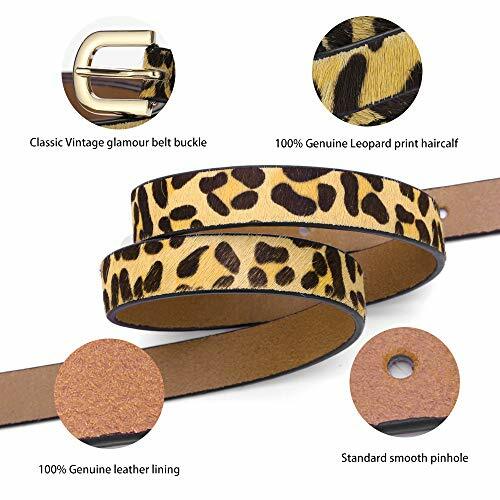 Exclusive design for women?Light color Classic leopard print on luxe haircalf belt, durable leather materials, firm hold and durable for long lasting use. 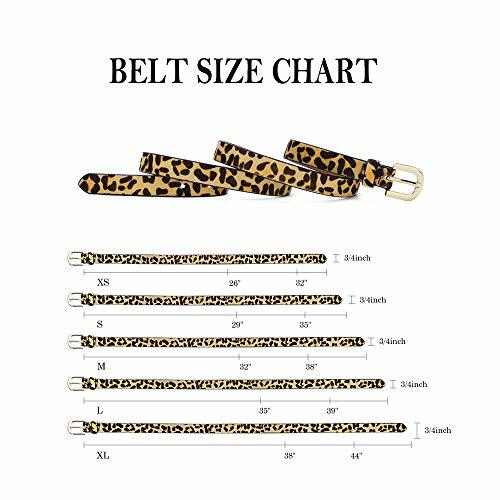 Size design?XS:(26''-32'') S:(29''-35'') M:(32''-38") L:(35''-39'') XL:(38''-44'') Perfect for: Simple Style Suitable for everyday casual wear to formal occassions and any season.Ideal present for friends and relatives. 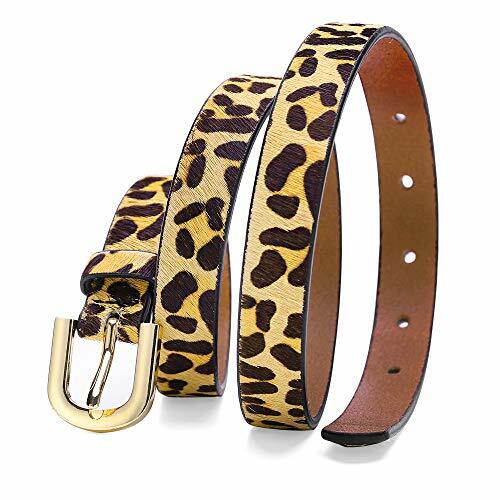 Adjustable length: Designed for lady to match with Jeans, dresses, pants, skirts, sweaters,oversized T-shirts or other costumes. GUARANTEE SERVICE: 1 YEAR WARRANTY - With 1-Year Manufacturer's Warranty and 60 days no-questions-asked return policy. Value for money guaranteed.